If you come to Thailand on vacation you'll most definitely see Dual pricing in Thailand for well known places like the Kings Palace, Chiang Mai Zoo, National Stadium not to mention all the street hawkers and Taxi drivers that will do anything they can to inflate prices on Tourists. This might be rather acceptable if you are on holidays but when you live here and i mean actually live in Thailand then you can get quite annoyed at the price bias. Most of the times the price differences are in big bold letters in front of temples, caves, the zoo, even most tours have double pricing though they are pretty much unknown. National parks normally have prices 10 times higher for foreigners. Chiang Mai zoo has it in plain view. Caves are normally the worst offenders for dual pricing, i've never seen a cave in Thailand that didn't work on this practice. Most tour companies will offer Thai customers prices of up to 80% off of what your paying. I know flight of the Gibbon in Chiang Mai does. Hot springs they really won't let you in. Even the nightlife in Thailand isn't immune, a huge number of nightclubs around Thailand will charge cover fees for foreigners from 100 - 300 baht per entry. I've heard that if you get a Thai drivers license it can get you the Thai price for nearly everything. 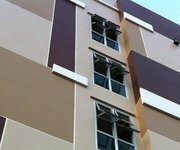 That can be a pain to get as well, but if you want to do something about dual pricing in Thailand then i suggest you just don't use the services of any national park, public attraction, tour, nightclub or otherwise but if you do that you won't have much left to do as the best places are those listed. You might ask yourself what is the point of the dual pricing, are they really making that much more money of tourists that they can charge that much? Noone really knows why they have two prices but perhaps it's to say to Thai people "hey don't feel bad about the cost because farang have to pay twice as much!". As you can see from the images above the price for foreginers is almost always at least double than what they charge for Thai people. Why Thailand is an Amazing place to live! Hi–How does one apply for a Licence ? The reason is actually pretty simple why they have dual pricing in Thailand. The reason why it’s always cheaper for Thai people and locals, is because if they had to pay what tourist pay, they wouldn’t be able to afford it. Tourist or Non-Thai’s pay more because they think if you had the money to pay for the expensive ticket to come to Thailand, then you probably have more money to spend to see what you came so far to see. Anywhere you go where there are a lot of tourist, they are always selling stuff or charging more for services than if you were to buy it some where else. And it’s always the locals that know where to get the best deals, so same rules apply more or less. Oh, and Chris, one way to get around this which I dunno if you ever considered, since you speak Thai is tell them you are a “Luk Kung.” This would probably work better tho if everyone in town doesn’t already know you are a “Farang,” and you’ll have to come up with a pretty convincing history for it, (like your mom is half Thai or Thai, and your dad is white, born in Australia, and always got teased how white you were by your Thai side of the family, ect….) 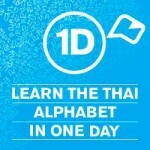 since its all the rage in Thailand and once you tell them, everyone wants to know how. But you’ll be surprised how differently they will treat you right away, once they know you are actually Thai too. Oh, and did I forget to mention Thai girls go nuts for this? And the trouble you had with that other 50% of Thai girls that only date Thai guys? Gone! Granted, it does require lying and Im not sure how comfortable or how far you are willing to go with that, but considering the benefits, I don’t think you’ll have that much trouble. Gashbell, sorry but while I don’t think that your comment is necessarily your own opinion but more based upon what other Thais have told you, why should any tourist attraction try to base their business model on charging foreigners more, besides the obvious greedy and racist intent? If that were reasonable then wouldn’t it also be reasonable to charge Thais who visit western countries such as Australia more, after all if they have enough money to pay for their visas and plane tickets to Australia they must be rich too and thus easily exploited and we poor Aussies should surely deserve a “home town” discount too, right? How can you say if the Thais had to pay more to enter, i.e. as much as foreigners they wouldn’t be able to afford it? First of all, all tourist attractions in Thailand are made with middle class Thais in mind, all of whom are quite well-off. That’s because they pretty much all own a car, which is a sign of relative wealth, especially in a country like Thailand where even locally made cars are more expensive than in the west. Wouldn’t it be better to conversely say that EVERYONE should be charged the same reasonable rate? 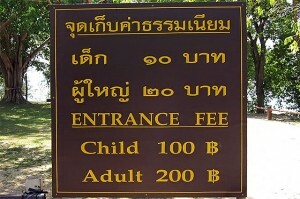 Since no tourist attraction should be made specifically with foreigners in mind because as foreign tourists can never be guaranteed to come, an affordable pricing policy that charges the same to ALL should be implemented, for example everyone pays 80 Baht entry, not 20 for Thais and 200 for foreigners. Or perhaps everyone just pays 20 Baht if that’s all it’s worth. But really, when in China where there’s no more dual pricing most tourist attractions cost like 100 Yuan or 520 Baht and up (albeit most tourist attractions in China are far bigger, better and value for money than their Thai counterparts) and the locals can readily afford to go there in a country where the average person is about as wealthy as the average Thai, this whole “we’re Thai, we’re poor” attitude is really costing the country in terms of image and speaks volumes about why this disgusting practice is still in place here. Lastly, I think the Thais are also getting screwed in regards to dual pricing in Thailand. First of all, there are no student or seniors discounts, discounts for those with disabilities or those in the army, it’s absolutely despicable. Thailand doesn’t even look after it’s own and at the very most offers discounts for children, if that. Other examples I’ve heard of include Thais being forced to pay more for certain cut price tours from Khao San Road, or not being allowed at all. 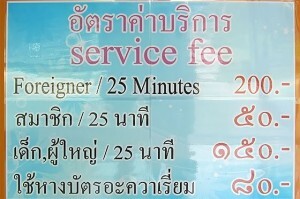 So dual pricing goes both ways in Thailand, but it’s unacceptable either way. In this day and age we really shouldn’t be segregating foreigners and locals or relying on greed or poor assumptions to gouge a certain class of person on the basis of race or nationality. That’s discrimination in my book. First of all. In fact it is a rip off. I doesn’t matter the reason. There is no excuse for unfair treatment. Looking away, is the wrongest to do. Publishing them by the location is the best to do.